OTTAWA — Prime Minister Justin Trudeau is reconsidering Jody Wilson-Raybould's future in the Liberal party after his former attorney general accused him, his senior staff and the country's top civil servant of putting her under relentless pressure to interfere in the criminal prosecution of SNC-Lavalin and refused to say whether she still believes in his leadership. "I completely disagree with the former attorney general's characterization of events," Trudeau said in Montreal, shortly after Wilson-Raybould concluded four hours of explosive testimony before the House of Commons justice committee. "I strongly maintain, as I have from the beginning, that I and my staff always acted appropriately and professionally." He said he will review all of Wilson-Raybould's testimony before deciding whether she can remain in the Liberal caucus or seek re-election this fall as a Liberal candidate. "I'm not sure how that question is relevant," she said when asked by a Liberal colleague if she still has confidence in the prime minister. During her testimony, which drew gasps from opposition MPs and the overflow crowd of observers in the committee room, Wilson-Raybould said she believes Trudeau shuffled her out the prestigious justice portfolio in mid-January because she refused to give in to pressure — and even "veiled threats" — to order a halt to a criminal prosecution of SNC-Lavalin. The Montreal engineering giant was, and is, facing charges of fraud and corruption related to attempts to get business in Libya. A "remediation agreement," a sort of plea bargain, would have headed off a trial and removed the possibility SNC-Lavalin would be banned from federal business in Canada. "For a period of approximately four months, between September and December of 2018, I experienced a consistent and sustained effort by many people within the government to seek to politically interfere in the exercise of prosecutorial discretion in my role as the attorney general of Canada," she told the committee. Wilson-Raybould provided a detailed accounting of meetings and phone calls to back up her accusations, breaking three weeks of silence on the affair that has rocked the government, prompting her resignation from cabinet and the departure of Trudeau's most trusted adviser, Gerald Butts. Conservative Leader Andrew Scheer, speaking immediately after Wilson-Raybould's testimony finished, said Trudeau had lost the moral authority to govern the country and should resign. He also called for a police investigation of Wilson-Raybould's claims. The former minister told the committee she was "hounded" to end the prosecution for months after the director of public prosecutions, Kathleen Roussel, had rejected the idea of negotiating a remediation agreement with SNC-Lavalin and long after she had unequivocally declared that she would not direct Roussel to reverse her decision. While she believed it was inappropriate, Wilson-Raybould said she didn't consider the pressure to be illegal. She did not resign or directly raise her concerns with Trudeau after Sept. 17, when she first informed him that she would not intervene in the SNC-Lavalin matter. She said she didn't speak directly to Trudeau about SNC-Lavalin again until Jan. 7, when he informed her he was about to move her out of the justice portfolio; she suggested the move was the result of her refusal to intervene in the prosecution, which he denied. She accepted a move to veterans affairs on Jan. 14 and did not resign from cabinet until Feb. 11, five days after an anonymously sourced allegation that she'd been improperly pressured first surfaced in the Globe and Mail. "At the time, I did not see it as my responsibility to resign. 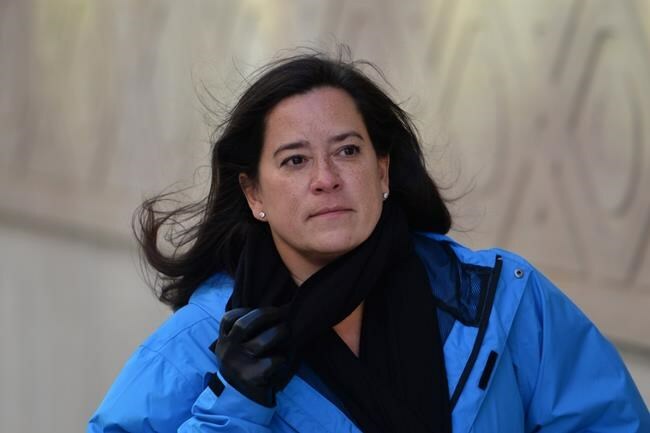 I saw myself as the attorney general of the country who was doing her job to ensure and uphold the independence of the prosecutor and uphold the integrity of the justice system and the rule of law," Wilson-Raybould said. "The prime minister asked me to help out, to find a solution here for SNC, citing that if there was no (remediation agreement) there would be many jobs lost and that SNC would move from Montreal," Wilson-Raybould said. She said she explained the law to Trudeau and told him she "had made up my mind" to not intervene with Roussel. But she said Trudeau and Privy Council clerk Michael Wernick continued to express concerns, with Wernick noting that Quebec was holding an election in a couple of weeks and Trudeau stressing that he is himself a Quebec MP. "I was quite taken aback," she said, adding that she looked Trudeau in the eye and asked: "Are you politically interfering with my role, my decision as the attorney general? ... The prime minister said, 'No, no, no, we just need to find a solution.' "
Wilson-Raybould detailed instances of what she considered inappropriate pressure by Finance Minister Bill Morneau's chief of staff and others but said the pressure campaign escalated over the fall, even after SNC-Lavalin went to court to challenge Roussel's rejection of a remediation agreement. Her chief of staff, Jessica Prince, was eventually summoned to an urgent Dec. 18 meeting with Trudeau's chief of staff, Katie Telford, and his then principal secretary, Butts. Citing text messages from Prince sent to her immediately after the meeting, Wilson-Raybould said the prime minister's top two aides wanted her to hire an external legal expert, possibly a retired Supreme Court justice, to give an opinion on the appropriateness of directing Roussel to reverse her decision on the SNC-Lavalin prosecution. When Prince suggested that would be interference, Butts purportedly said, "Jess, there is no solution here that does not involve some interference." Telford said an external legal opinion would give the government "cover" and allow Trudeau to say he was doing something. But the most egregious pressure came the following day, on Dec. 19, when Wilson-Raybould said she received what she deemed to be three "veiled threats" that she could lose her job from the clerk of the Privy Council, Wernick. The country's top civil servant last week told the committee he believes there was no improper pressure applied to Wilson-Raybould by him or anyone else. According to Wilson-Raybould, Wernick told her that Trudeau wanted to know why SNC-Lavalin was not being offered a remediation agreement. He told her that the prime minister was "going to find a way to get it done one way or the other" and that it was not good for the attorney general to be "at loggerheads" with the prime minister. "Of course we had discussions about the potential loss of 9,000 jobs in communities across the country, including the possible impact on pensions," he said. But he added: "I want to be absolutely clear here. The decision around SNC-Lavalin was Ms. Wilson-Raybould's and hers alone."